May | 2013 | Over the line, Smokey! This 1993 tragi-comedy is The Big Bang Theory Meets Lord Byron on stage. Many view it as Stoppard’s best work, though reviews are polarized: some view it as a sort of physics lecture. In 2006, Arcadia was nominated for “the best science book ever written” by the Royal Institution. But there is much more to it. “Arcadia” won the Laurence Olivier Award in 1994, and was nominated for the Tony Award and the Drama Desk Award in 1995. Sexual comedy alternates with a historical literary mystery, and the early 19th century alternates with the present, in the same set, and sometimes the two eras seem to merge. The background plot and several of the characters are based on Byron’s life, a fertile field for academics. Stoppard tries to capture the excitement of intellectualism and historical detective work, while acknowledging human foibles. Mostly it works, but the plot must be paramount, and clues are sometimes lost in the chaos. For example, the most important clue, the sketch of Septimus with the turtle, is easy to miss. The attempts at creating multiple parallels and contrasts overreaches at times. One has to pay attention to catch it all. OTL,S! guesses that a great number of college essays have been written on the themes and clever devices used by Stoppard in “Arcadia.” OTL,S! will not set sail into that great ocean (not to say it wouldn’t be fun). At one point in the second act, we hear the word “primer” (a book), pronounced “pry-mur” (long i). Americans often use the pronunciation “primmer” (short i) for this meaning, while using “pry-mur” as the pronunciation of the same word used to denote a type of paint. A little research shows that both pronunciations are correct, but apparently “primmer” is not used much in England (where the play is set). Lord Byron’s only legitimate daughter, Ada Lovelace, was the inspiration for one of the central characters and was, in fact, a gifted mathematician who studied Charles Babbage’s computing machine and pioneered the idea of computer algorithms. 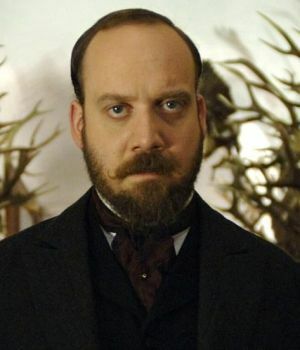 When the play opened in New York, the role of the cuckold Ezra Chater was played by Paul Giamatti, in his Broadway debut. This is greatness. OTL,S! 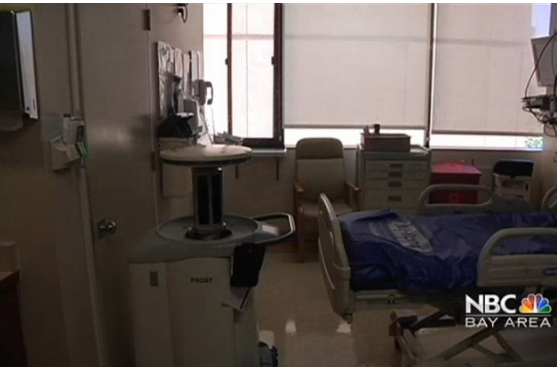 would never go to an operating room that didn’t use it. Of course, surgeons’ hands, hair and sweat are another matter. This short novel, Wilder’s second, won the Pulitzer Prize for novels written in 1927, the same year that “Death Comes to the Archbishop” was published. The book was Wilder 1897-1975 was an American author and playwright, who also won Pulitzers for “Our Town and “The Skin of Our Teeth”. recuperating from an appendectomy when the book was released. Penelope Niven. Thornton Wilder: A Life. New York: Harper Collins, 2012.
notes: Wilder had finished writing the novel [Heaven’s My Destination] in the fall of 1934 under Mabel Dodge Luhan’s “humorous and disciplinary eye” at her ranch compound on a shady plateau on the edge of Taos, New Mexico….The had met through lettes when mabel wrote to preaise his first two novels and to invite hnim to come to Taos. Before her life there, she had been married three times, had befreinded Gertrude Stein and Alice B. Toklas in Paris, had prsided over a hohemian literary nd politcal salon in Greeenwich Village, and had been the mistress of the radical John reed. In Taos in 1923 Mabel married her fourth bhusbnad, the chariismatic Tiwi Indian Tony Luhan, who become her spirtual counselor, and then, pitching a tepee infront of her house, had courted Mabel, despite the fact that he had a wife inthe nearby Pueblo community. Like many other writers (including D. HJ. Lawrence, Robinson Jeffers, Thomas Wolfe, and Edna Ferber) and visual artists (Paul Strand, John Marin, Georgia O’Keeffe, and others), Wilder gravitated not only to Mabel’s generous hospitality at her comfortable ranch, and the stimulating company she attracted there, but to flamboyant Mabl herslef–her energy, her “bracing” analysis of his work, and the “wonderful and rich resouces” of her intellect and spirit. During the day Wilder retreated into his work on the novel, but broke away gladly int he late afternooon to tke long drives with Mabel at the wheel, expertly neavitgaitng the narrow roads twinigin up and down the hills of Pueblo County. The director of 1938’s Our Town, Jed Harris, was the father of Ruth Gordon’s son, she of and . p. 449 Gordon was a great and long friend; she married writer Garson Kanin. Spent Christmas 1962 in Taos and Santa Fe, saw Witter Bynner and dorothy Bretty. Mabel Dodge Luhan had died that year. Slightly more than 2/3 of Wilder’s 1939 income came form teh publication of The Bridge of San Luis Rey as one of the first ten books in the new Pocket Books series. p. 456. Attacked by Joseph Campbell in Saturday Review of Literature The skin of Our Teeth was ‘an Americanized re-creation , thinkly disguised of James Joyce’s Finnegans Wake. Campbell was aat Sarah Lawrence college and was working on a key to Finnegans wake with Henry Morton Robinson. 1948 sister Charlotte, prize winning poet has prefrontal lobotomy as had Rosemary Kennedy in 1941, and Tennessee Williams’ sister Rose in 1943.